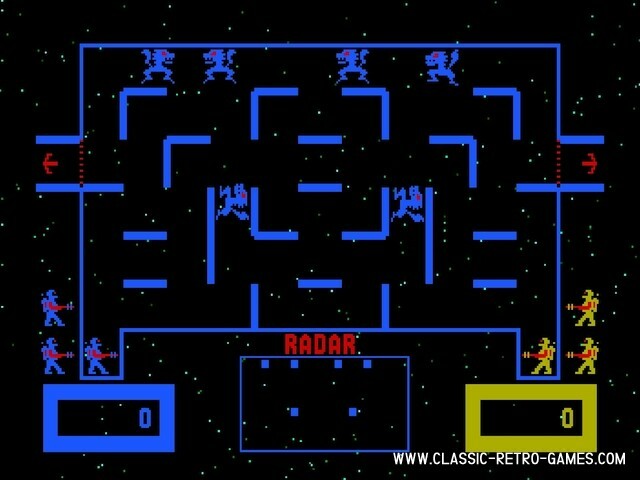 Wizard of Wor is a classic shooter game. You control a soldier armed with a laser rifle, and work your way through dungeons packed with fire-breathing monsters. As always in games of this type and age, the first dungeon is a yawner, but the pace will pick up soon, and you'll definitely be sweating before the game ends. Currently rated: 4.4 / 5 stars by 28 gamers.